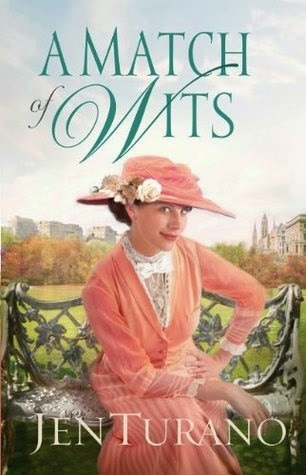 After his departure from New York two years ago to meet up with his almost-fiancee, Zayne Beckett is the last person Agatha Watson wanted to stumble upon in her travels as a reporter with the New York Tribune. Quite pathetically bedraggled, he clearly needs to be taken in hand and sent back East to his family. Although she no longer has feelings for him, Agatha realizes--by hook or by crook--she'll have to be the one to get the obstinate man home. Zayne has no desire to be taken anywhere and is prepared to drag his heels all the way home . . . until he finds himself slipping back into the familiar banter of his former friendship with Agatha. 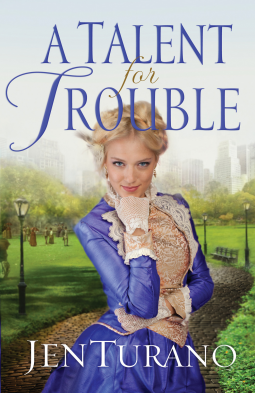 Once they arrive in New York, Zayne realizes Agatha's determined nose for news has earned her a few enemies, and he hopes to repay her help with some help of his own. When she rebuffs all his attempts to prove himself a knight in shining armor, the lengths to which they'll go to win this battle of wills lead to some memorable antics. Everyone else may think them a match, but nothing could be further from the truth--until Agatha finds herself in real trouble. Have these two stubborn, too-smart-for-their-own-good people been meant for each other all along? Even though I read tons of great reviews for Jen Turano's Ladies of Distinction series... from the two books I've read now I've decided that they are just not my style. If I'm going to read about socialites I think I prefer the Regency era. The characters in A Match of Wits, while romping around on ridiculous adventures, come across to me as thoughtless and self-centered. They redeem themselves in the end, but it wasn't enough for me to really enjoy following their journey. I find that Mary Connealy's brand of humor and adventure is more to my liking since she infuses depth and compassion as well. Miss Felicia Murdock firmly believed her destiny was to become a minister's wife. When the minister on whom she had set her sights marries another lady, Felicia is forced to take a close look at her life and comes to a few uncomfortable conclusions. Determined that something needs to change--and soon--Felicia discovers she is finally ready to spread her wings and embrace life the way she's always wanted. Grayson Sumner--or Lord Sefton, as he's officially known--has had more than enough of spreading his wings and only hopes to settle into the life of a normal, respectable New York gentleman. Prompted by some well-meaning friends to lift the spirits of the disappointed-in-love Miss Murdock, he is surprised to encounter a young lady who seems to have become quite adventurous and quite determined to get herself into all sorts of troublesome situations. Intent on remaining independent, Felicia is reluctant to accept Grayson's help, especially as she finds herself developing feelings for him. However, just as Grayson decides he's had quite enough of her antics, his past comes back to haunt him and his presence in her life has endangered Felicia. Will Grayson and Felicia decide they want to spend the rest of their lives keeping one another out of trouble? I wanted to like this book, but the things that bothered me prevented me from fully enjoying it. There is plenty of action, but much of it seems contrived and ridiculous, which is also what the main character's personality was like to me. I liked the supporting characters much better so I will try the author's previous books that they are featured in.